People that own fast cars and like to walk that fine line between driving the hell out of it without getting busted by the fuzz are well aware that cops cars are genuinely slow. The Hemi Chargers out there now are trying to rectify that stereotype. However, with as fast as some cars are nowadays, especially modified ones that would be used in a street race type situation, even the mighty Hemi can’t keep up. So what is law enforcement supposed to do, just turn the other cheek to illegal street racing? Not likely. 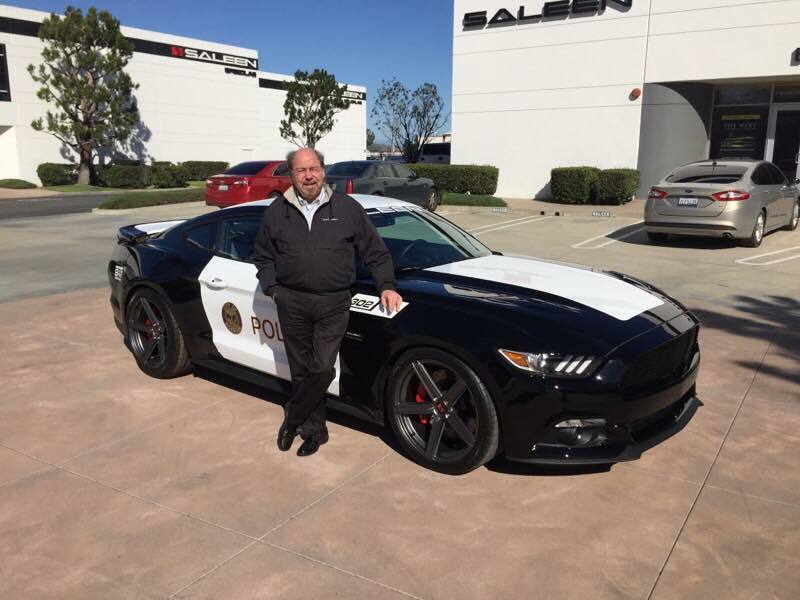 The Riverside California Police Department were proactive about this particular problem and they enlisted the help of someone who knows a thing or two about speed, Steve Saleen. I feel obligated to say that in no way do we condone illegal street racing. And in reference to police, because my dad was in law enforcement, I was taught at a young age that there’s always one thing the police have that you’ll never outrun. No not a helicopter, although they do help. It’s the radio. You’ll never be able to outrun that officer radio’ing ahead. With that being said, it doesn’t hurt to have a special weapon up your sleeve in the event that you pull up on a Ferrari and McLaren in a street race and they start running. That’s where Steve Saleen and his magic Mustangs step into the picture and save the day. Apparently, he wanted to build a memorial vehicle for the Line of Duty Death at the Riverside Police Department. So he designed and built a very specific Saleen Mustang for the department, and he even delivered it by hand himself. How’s that for service? Who knows, maybe they looked at the ridiculous car collection owned by the Dubai Police department as inspiration. 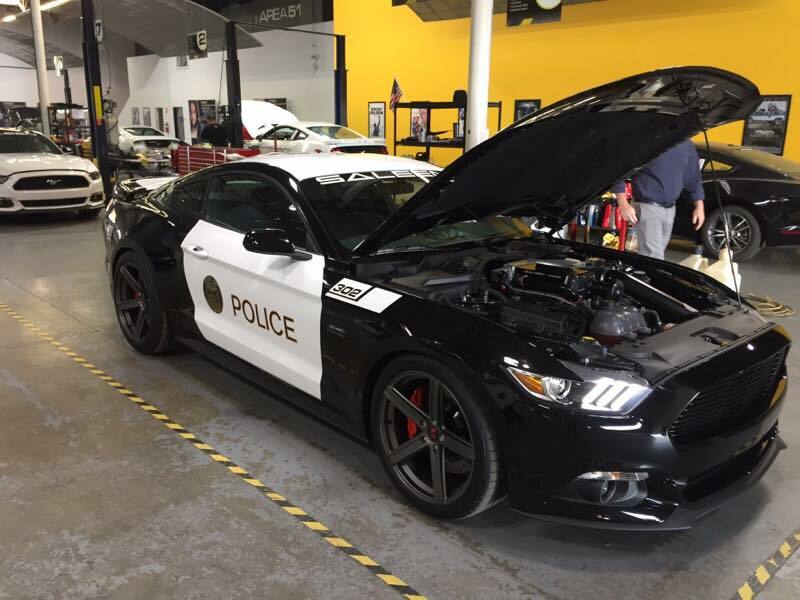 Like most of the other Saleen Mustangs, this police version started out as a 5.0 Mustang GT and then Steve and his crew started working their magic. 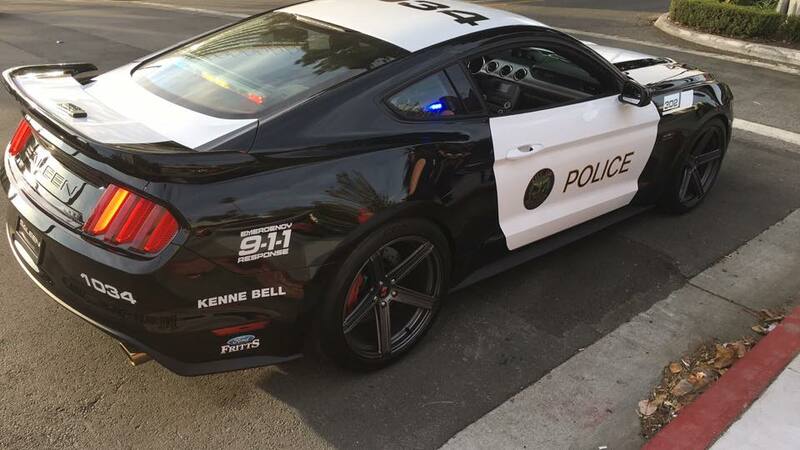 They opted to go with the 302 Black Label Patrol Car kit and matched the stereotypical black and white scheme used by the Riverside Police Department. 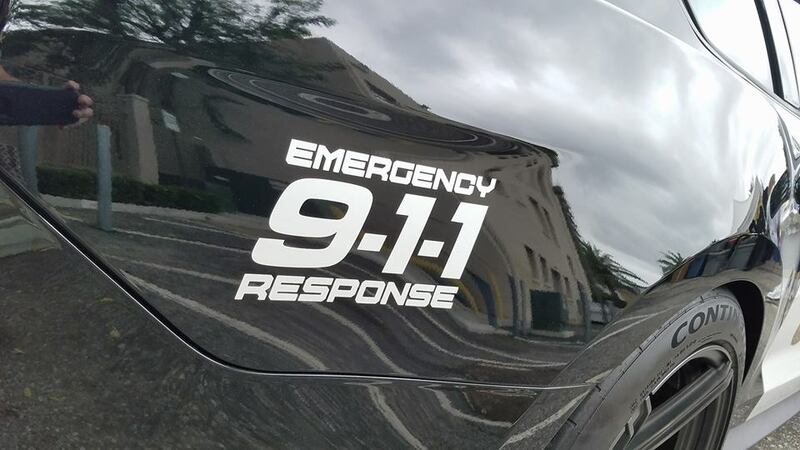 They then fitted with it with all the necessary emergency lights and badging to make it resemble your everyday legit police cruiser. Although there is nothing “every day” about what’s going on under the hood. 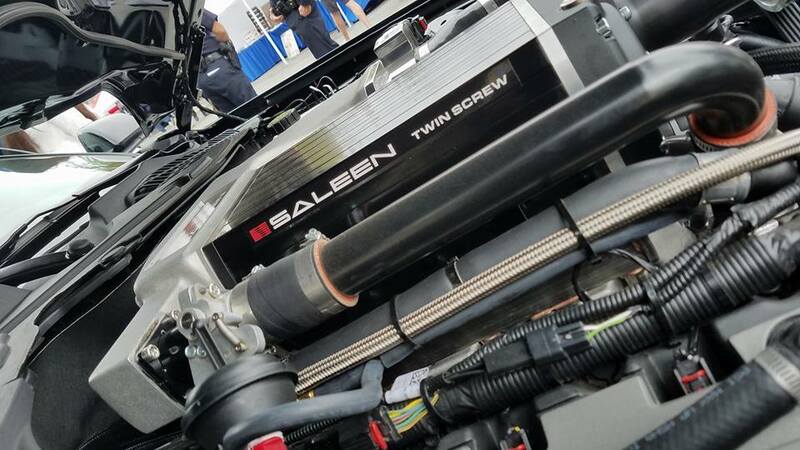 The stock 5.0 is no slouch, but you know Steve Saleen isn;t going to leave a stock motor with his name on the outside of the car. So he and his crew did their voodoo and the end result is nothing to scoff at with a total of 730hp and 600lb-ft of torque. It may not be enough oomph to handle the Hypercar Holy Trinity or cars on that level of performance, but they are so few and far between that it isn’t relevant. However, just about anything else on the road, this Saleen Mustang will be unshakeable in your rear view mirror. 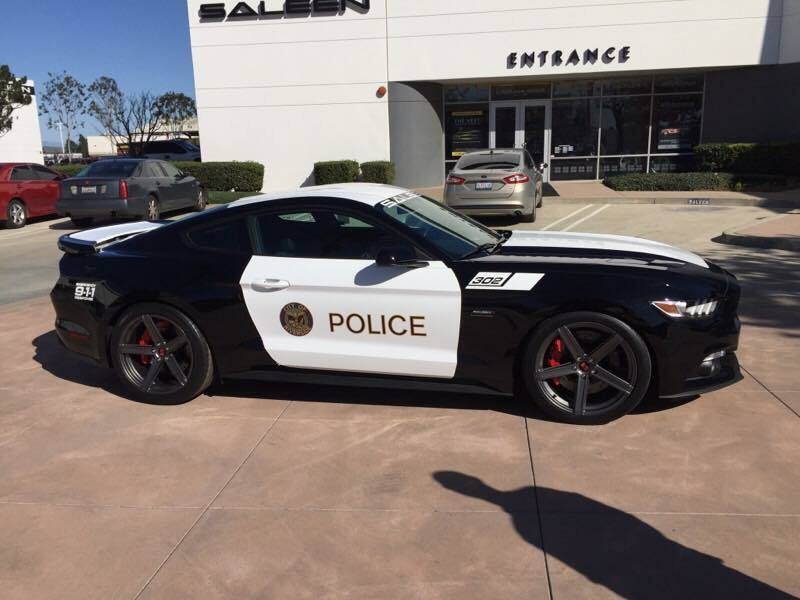 I guess you could say Riverside Police Department and Steve Saleen have changed what the term “5-0” really means.